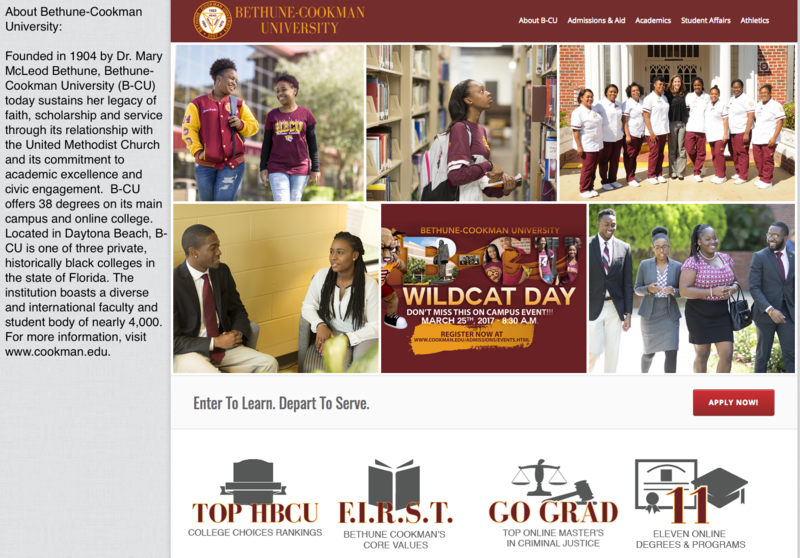 During the Fall 2016 semester, 9 students were enrolled in a new bioinformatics course at Bethune-Cookman University, an HBCU (Historically Black Colleges and Universities) in Daytona Beach, Florida. In the course titled “Advanced Computing Resources in Biology”, taught by Dr. Raphael D. Isokpehi, students learned the principles of command line genomics software and python programming as well as gained exposure to large-scale computing. This new bioinformatics course and two other courses: Biomolecular Technologies and Computational Genomics were developed at B-CU through National Science Foundation award #1435186 from the Historically Black Colleges and Universities - Undergraduate Program (HBCU-UP). The students also attended a guest lecture by staff from the National Center for Genomic Analysis Support (NCGAS) at Indiana University. Four students met with NCGAS at the 2016 Supercomputing Conference in Salt Lake City, UT. They were able to inquire about the bioinformatics career path from industry professionals and gain insight into what to expect when moving from biology heavy training to computational-based science. Bioinformatics is a fast growing field, but training requires university level training in cluster computing and genomics software. “The collaboration with NCGAS is enabling biology students at Bethune-Cookman University to access computing resources for working effectively with large-scale biological data” says Dr. Isokpehi. Students are also acquiring the expertise to compete for internships and fellowships in pursuit of a career in biology or bioinformatics. 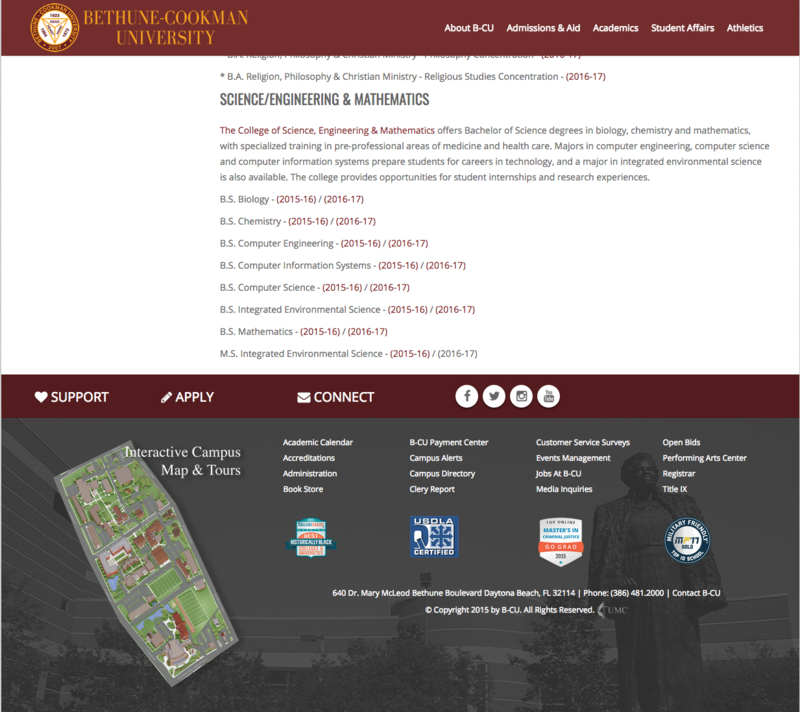 Providing science and engineering cyberinfrastructure and training to Bethune-Cookman University and other institutions helps expand the curriculum available without the overhead cost of institution level scientific computing infrastructure. In person interaction with students and new users at conferences solidifies relationships and increases NCGAS’s presence in the community. As the course was successful in providing previously inaccessible resources for training students, NCGAS will continue working with Bethune-Cookman in this capacity this Spring 2017 semester with a cohort of 18 students enrolled in a third-year introductory bioinformatics course.